Here are a 8 tips to help you live big in even the smallest space, from small apartments to tiny homes and condos. Just keep in mind that when space is at a premium, you need to make your decorating style do more with less. Place all your overhead lighting on wall dimmers. This creates ambiance in a small space and keeps the walls from feeling like they’re closing in. Hang a wide and squat ceiling light fixture or chandelier in the middle of a small room. Use a dimmer on the fixture to help set the mood and add a subtle sense of depth to the ceiling space. Use glass or Lucite top side tables and glass body table lamps for a transparent, light look. They’re more open and less obtrusive than wood or metal tables. Try a densely colored and patterned Oriental rug to enlarge the sense of a space. You can also place the rug on the diagonal, which can look larger than the standard grid. Look to oversized rather than small scale furniture. A large piece tends to anchor a space and give it a greater sense of cohesiveness. When using smaller decorative objects on a table or buffet, group them together to make a bigger design statement. Eliminate the perception of clutter by sticking to one color tone. For example, match dark wood furniture and lighting to an existing dark wood floor to present a unified look. It’s important to be consistent in a small space, so stick to one overall color, wood tone and so on. 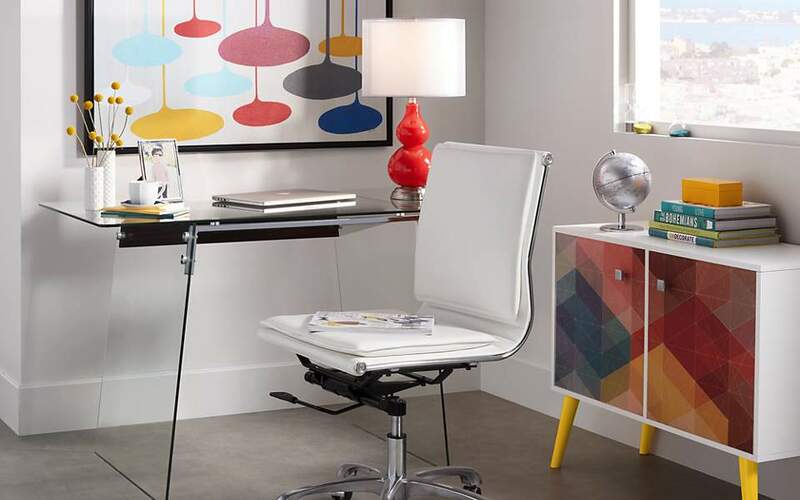 When space is an issue, furniture needs to multi-task. 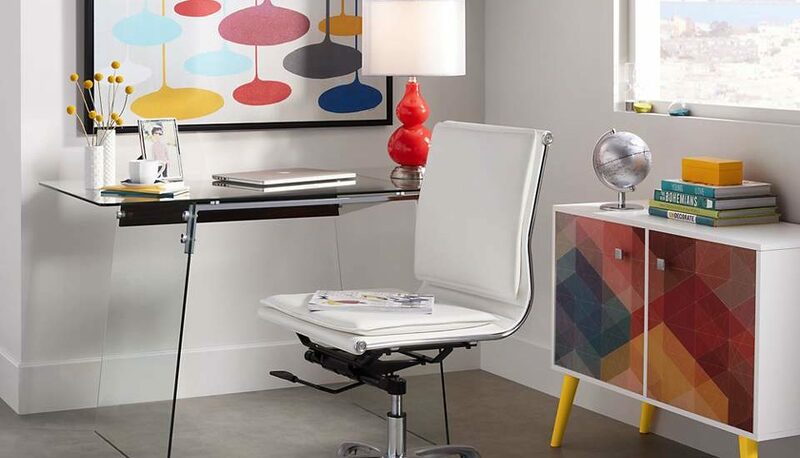 For example, small accent side tables can help you organize clutter and keep yourself organized by day. A night, group them together for entertaining to serve as a bar or serving area. Multi-task ottomans by using them as extra seating or serving areas when entertaining. Create tranquil, clutter free zones, such as in the bathroom. Bath wall lighting or a contemporary track kit on the ceiling can give a cool and airy, Zen-like feel to bath areas, making the room look larger and more spacious. In small bedrooms, the bed tends to dominate the room. Try angling it for a unexpected look, then add swing arm wall lamps on either side to create a focal point for the eye. Adding plug-in swing arm wall lamps has the added advantage of freeing side table surface space that would otherwise be dominated by a table lamp. For very tight spaces, you can use the wall lamp and eliminate the table altogether. Small kitchens present a big design challenge, but they can also be highly efficient and functional if done correctly. Use kit track lighting with lights that can be individually positioned and aimed at food prep or eating areas. Under-cupboard lights make a kitchen space brighter and more usable. Place a mirror on the floor in a corner to make a space look larger. In bedrooms or long hall areas, hang a wall mirror to add depth to the space and break up a repetitive look. Use landscape or outdoor lighting to visually extend your indoor spaces outside. An outdoor patio or seating area can be easily incorporated into the decorating look of your indoor room, making your indoor space look that much bigger. Want more inspiration? Try one of the small space decorating videos on this page, or visit our Lamps Plus YouTube channel.